While recent reports of Ben Kingsley joining the cast of Iron Man 3 were instantly followed by Marvel avowing that he would not be playing Chinese supervillain the Mandarin, today the Walt Disney Co. revealed that the sequel will have some kind of Chinese something or other. That’s because Disney and Marvel have partnered with that country’s DMG Entertainment to co-produce the film as part of America’s ongoing diplomatic bid to share with China’s state-run studios all of their production knowledge in exchange for tons of money from a place with a lot of it. 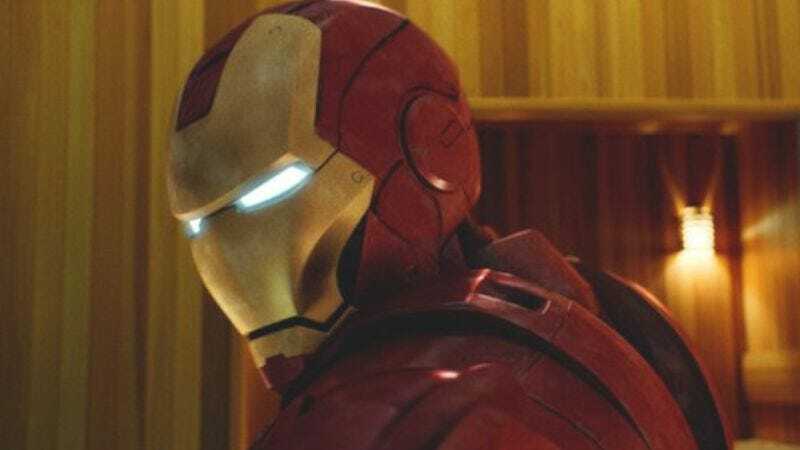 In return for China’s investment, expanded distribution, and allowing the production to partially film there, Disney promised, “We are going to add Chinese elements and a Chinese story into Iron Man 3,” though it did not specifically say what those Chinese elements would be. Other than, of course, the fact that China’s ban on negative depictions of the government and “monsters, demons, and other inhuman portrayals” suggests that, if he does appear, the Mandarin will be a productive government servant who definitely didn’t get any superpowers from aliens or seek revenge on the Communist party, and who welcomes Iron Man to his country to demonstrate the safe and happy working conditions of Stark Industries’ many outsourced factories before bidding him a fond farewell, roll credits. It also suggests that Iron Man 3 should be kept away from children's mouths.